Goddess Braids with Individual Cornrows for those busy days! When your days are long and your nights are even longer; you tend to want to cut your daily preparation Time down. Lets be sincere, you still want to look fabulous in less time. You want to get up in the morning without having to pull out a curling iron. Well, maybe you can try some Goddess braids with individual cornrows. No, they don't take as long to braid as micro- braids. I know you don't want to get stiff sitting in the chair. None of us do!! 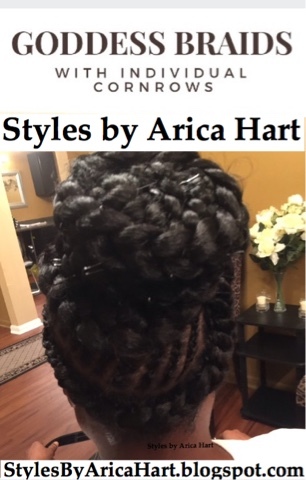 This beautiful young lady is rocking some individual cornrows; braided into an updo, goddess braid hair style. It can be worn on a variety of occassions. Goddess braids are larger than the normal braid. Are you ready to rock the Goddess in your braids? 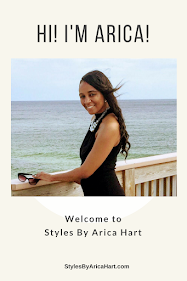 Are you ready to style and profile? Why not? Try something different. 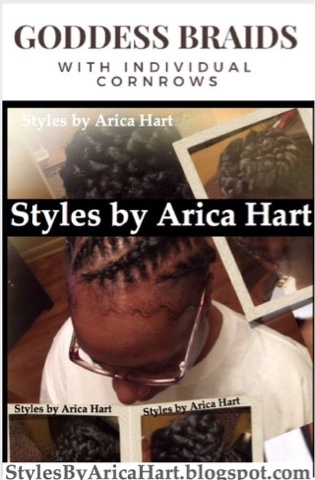 Try some some Godess braids with individual cornrows. Have an awesome day! 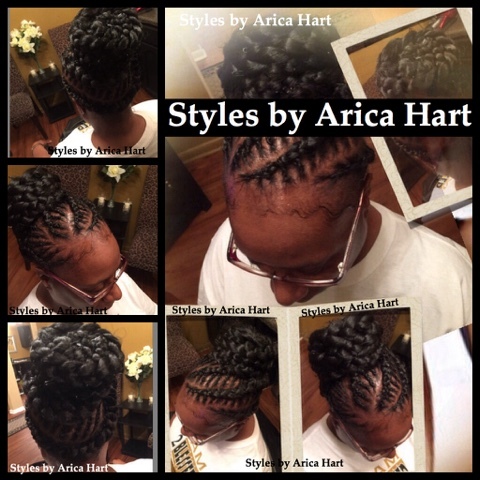 Stuffed twist hair styles for those low maintenance days. Growing black hair with protective styles; such as, weave and braids.